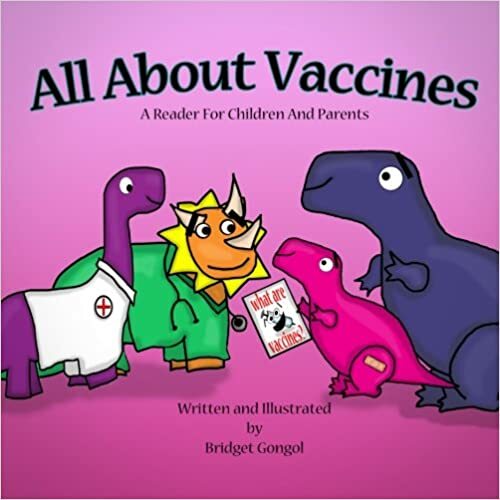 “All About Vaccines” is a book designed to educate children and parents alike about vaccines. Using fun cartoon dinosaur illustrations, this book explains what vaccines are, how they work, and their importance in easy-to-understand language. To aid further exploration and understanding of vaccines for older children and adults, “All About Vaccines” also contains a more detailed explanation of vaccines, a glossary of terms, and a list of information resources.